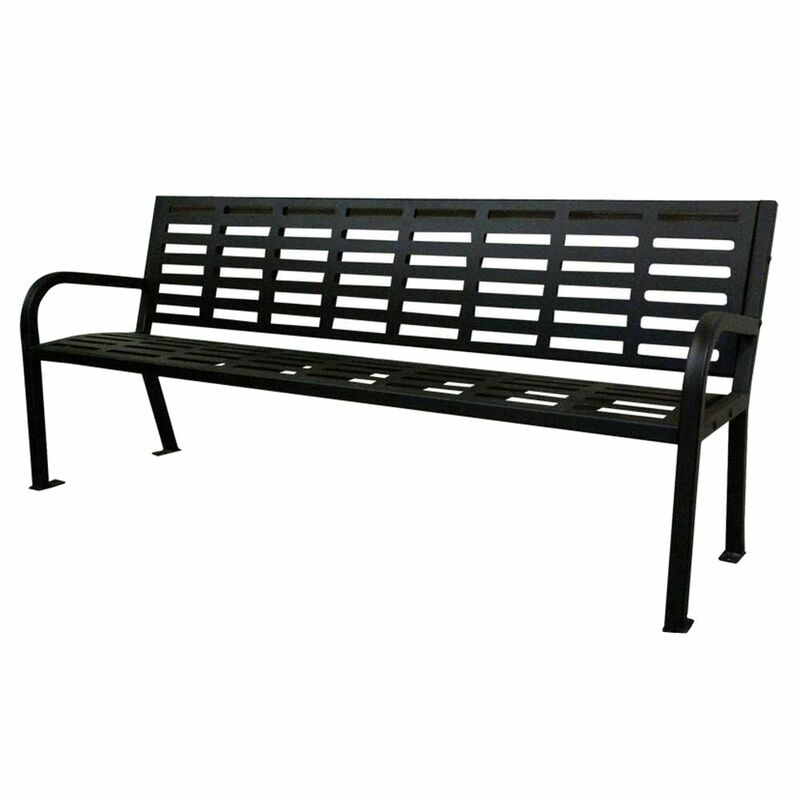 Featuring a heavy duty all steel frame, this bench is full of durable features and a functional design. You can hang all your tools neatly on the pegboard backing and the shelf tray at the top is the ideal storage space for aerosol cans and cleaning products. Small tools and hardware will be kept organized in the three utility drawers under the work surface. This drawer rolls smoothly on ball bearing glides. Some simple assembly is required with this workbench. 6 ft. Park Bench The 68 Gal. Steel Recycling Station features a heavy-duty construction that resists wear and tear from being outdoors. This heavy-duty receptacle comes fully assembled and ready to install. The steel components receive corrosion protection from a Zinc Rich Primer. The Primer is applied as an Epoxy Powder Coat after the metal components are sandblasted. This is followed by a durable Polyester Powder Finish Top Coat. Both coatings are electrostatically applied and then thermally cured creating a premium look. Backed by a 3-year warranty, this unit is built to last. 6 ft. Park Bench is rated 4.3 out of 5 by 8. Rated 5 out of 5 by rich from very nice bench for a park setting. sturdy,weather resistant and nice lines. very nice bench for a park setting. sturdy,weather resistant and nice lines. Rated 4 out of 5 by Morganne from Okay.... Okay. Rated 2 out of 5 by Hal from The bench seat was missing from the box and I... The bench seat was missing from the box and I am still waiting for the missing part. Rated 4 out of 5 by rfindley from Durable bench Neighborhood HOA bought this for playground seating. Strong, durable, smooth powder coating, and long enough to accommodate multiple adults. It was easy to assemble (30 minutes start to finish) and it came with bolts to secure it to concrete footings. The only gripe we have are the metal vertical back pieces are open on top and the plastic caps that set down inside do not stay put and fall out. Didn't want wasps to move in or rain to run inside and rust out so used epoxy compound to glue in place. Not sure it that will be a permanent solution. Took away 1 star for plastic cap issue. Rated 5 out of 5 by Mary from Just what we needed for our entryway!!! We purchased this bench to place inside the entry way of our Child Care facility. One feature we really like was the ability to secure it to the floor. Rated 5 out of 5 by Baz from Very sturdy nice looking bench It seems to be very sturdy and well made. It goes together very easily with just a screwdriver and a wrench. They even give you a screw driver bit to fit the bolts. Another thing I like is that they give you an extra item of all the bolts, nuts and washers. They recommend that you have help putting it together because it is heavy, but if you are careful you can put it together on your own like I did. Nice product. It is heavy but that is a good thing because it means it is made of more substantial materials. Rated 5 out of 5 by Spring from Great park bench I absolutely love this park bench. It is very sturdy and looks great as an addition to my front yard. Love the size of it!